Experience an intimate concert with world-class performers while supporting local community music programs. Don’t miss the 11th year of ChamberFestDBQ. Northeast Iowa School of Music’s ChamberFestDBQ is the highlight of our concert season and one unlike anything else you can hear in Dubuque. Each year, 2018 Pulitzer Prize Finalist Michael Gilbertson, artistic director, hand-picks an ensemble of guest artists of the international music scene for a benefit concert for our school. 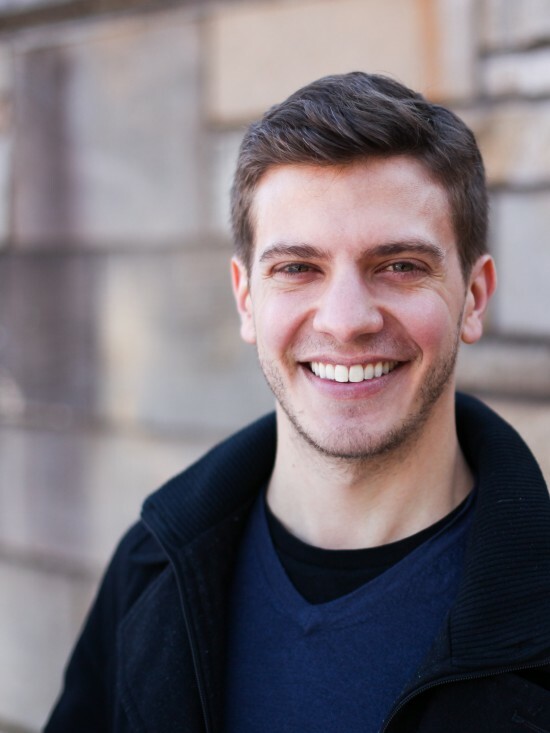 Gilbertson is a Dubuque native who studied at the prestigious Juilliard and Yale Schools of Music and is now a successful composer teaching at the San Fransico Conservatory of Music. You can experience Gilbertson and guest artists in concert one night only at the ChamberFestDBQ concert on Thursday, June 6 at Clarke University. After the concert, mix and mingle with the performers during a champagne and dessert reception. The performers are world-class, but this concert is only available in Dubuque! Tickets go on sale in April. With your ticket purchase, in addition to hearing the artists in an intimate setting, you support music in our community. Proceeds from ChamberFestDBQ support Northeast Iowa School of Music’s mission to provide quality, affordable music education and enrichment in the Tri-State Area. You provide music lessons and classes to students of all ages and economic backgrounds and give creative outlets to adult musicians in ensembles. You reach students in downtown Dubuque with free and low-cost programs and bring the community free concerts. Michael Gilbertson got his start at Northeast Iowa School of Music and knows the impact of a music school in Dubuque. While he was still a Juilliard student, he first approached Northeast Iowa School of Music in 2009 about a benefit concert because he wanted to give back to our school. Now, he returns year after year to bring this amazing musical performance to our community and help the music school continue its mission, all because he deeply believes in the importance of our work. As part of our mission of education, ChamberFestDBQ includes a student workshop on Wednesday, June 5, where local musicians can learn from our ChamberFestDBQ guest artists. The workshop is free and open to all! Children through adults are encouraged to participate. An intimate performance by Michael Gilbertson and friends with a champagne reception to follow. The workshop offers local musicians the rare opportunity to learn from our exceptional ChamberFest guest artists! Michael Gilbertson and friends will lead a combined session on the Jansen Music Hall stage where they perform the follow evening. Then partcipants will break into small groups for each instrument. This opportunity is free and open to all ages; register through Northeast Iowa School of Music. Michael Gilbertson is a composer whose works have been described as "elegant" and "particularly beautiful" by The New York Times, "vivid, tightly woven" and "delectably subtle" by the Baltimore Sun, and "genuinely moving" by the Washington Post. He studied composition at The Juilliard School and at Yale. Michael's orchestral works have been performed by the Minnesota Orchestra, the Pittsburgh Symphony, the Grand Rapids Symphony, the San Francisco Chamber Orchestra, and the Albany Symphony. His choral pieces include works published by Boosey & Hawkes and G. Schirmer. His one-act opera, Breaking, was commissioned by the Washington National Opera and premiered at The Kennedy Center in 2013. His most recent work, a string quartet for the Verona Quartet, was premiered at Carnegie Hall in February, 2017. Cellist Bridget Pasker is a passionate chamber musician and performer. A native of Dubuque, she is a founding member of the Thalea String Quartet, who were awarded the first Graduate Quartet Residency at the San Francisco Conservatory of Music. While she was completing her studies at The Juilliard School, Bridget discovered a true passion for outreach and music education. During her time at that institution, she was selected as a Gluck Community Service Fellow, which led her to performances at care centers in the New York City area. Bridget has continued this dedication throughout the Bay Area in a similar program out of the San Francisco Conservatory of Music. She also has a teaching studio at the Mid Peninsula Music Academy in Redwood City, CA. Bridget holds a Bachelors degree from The Juilliard School and Master’s degree from the San Francisco Conservatory of Music. Bridget has performed in many countries of the world, including the US, Canada, Italy, and France. 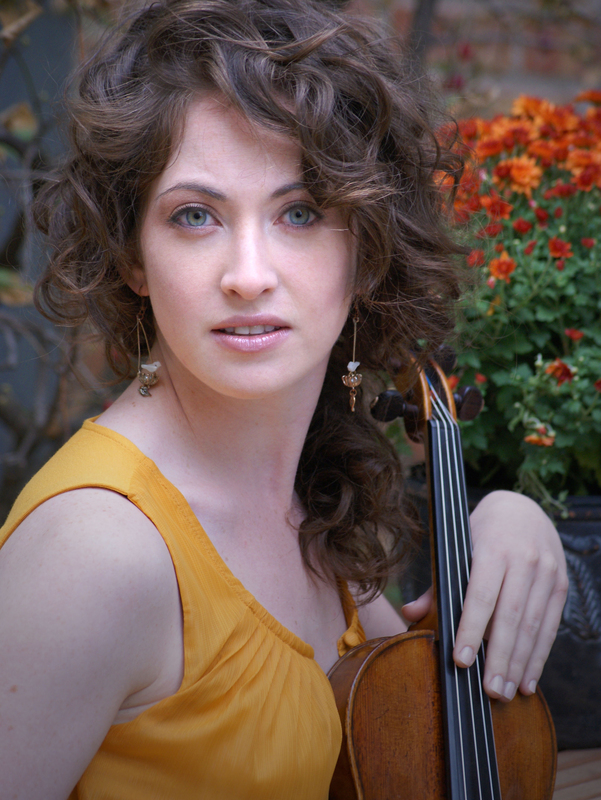 Hanah Stuart, hailed as a performing artist who “wields a violin with unmistakable panache” (Theater Mania), is a member of the San Diego Symphony Orchestra, the Grant Park Orchestra, and was previously Assistant Principal Second Violinist of the Utah Symphony. Ms. Stuart has served as Concertmaster of The Juilliard Orchestra, The Juilliard Chamber Orchestra and The YouTube Symphony Orchestra. Ms. Stuart’s media appearances and recordings include features on Harmony Film’s documentary The Road to Carnegie Hall, CBS's The Early Show, and an internationally broadcast performance for Keshet Eilon’s Gala Concert in Tel Aviv, Israel. She has also been featured on HBO’s Academy Award nominated documentary, Rehearsing a Dream. 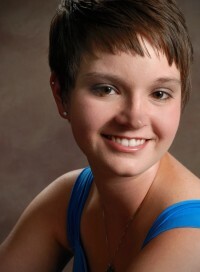 Ms. Stuart holds both a Bachelor’s and Master’s degree from The Juilliard School. 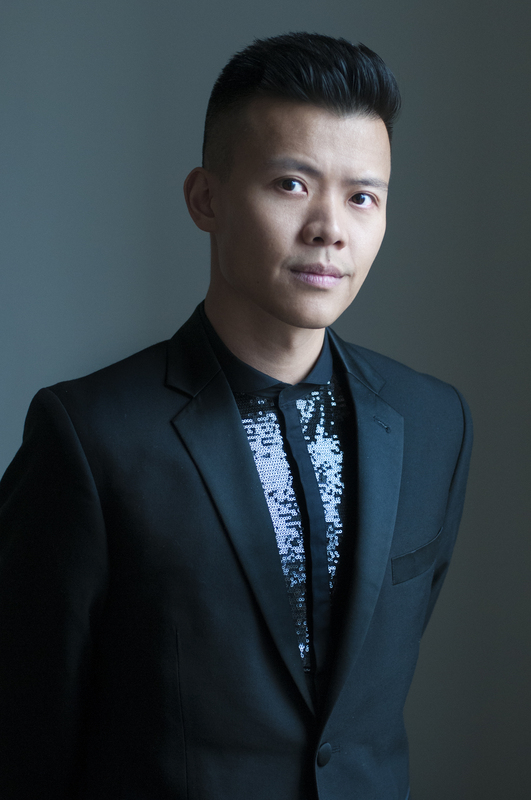 Described as “stylish and articulate” in the New York Times and having “superstar qualities” by Le Libre, pianist David Fung is widely recognized for performances that are elegant and refined, yet intensely poetic and uncommonly expressive. Mr. Fung regularly appears with the world’s premier ensembles including the Cleveland Orchestra, the Los Angeles Chamber Orchestra, and the San Francisco Symphony. As a recitalist, Mr. Fung has performed at Carnegie Hall, Lincoln Center, and the Kennedy Center. He is a frequent guest of major festivals including the Aspen Music Festival, Ravinia Festival, and the Edinburgh International Festival. The first piano graduate of the prestigious Colburn Conservatory in Los Angeles, Mr. Fung has also studied at the Hannover Hochschule für Musik and the Yale School of Music. He is a Steinway Artist and currently serves on the faculty at the University of Georgia. Applauded by the Calgary Herald as “…talented, sensitive…brilliant,” JIJI is an adventurous artist on both acoustic and electric guitar, playing a wide range of music from traditional and contemporary classical to free improvisation. Her impeccable musicianship combined with compelling stage presence and fascinating repertoire earned the Korean guitarist First Prize at the 2016 Concert Artists Guild International Competition. A major highlight of JIJI’s 2018-19 season is her Carnegie Hall/Stern Auditorium debut as soloist with the New York Youth Symphony, performing the world premiere of a new concerto written for her by American composer Natalie Dietterich. Featured NYC recitals this season include JIJI’s April 2019 Lincoln Center debut on the Great Performers series. JIJI is now an Assistant Professor of Guitar/Head of the Guitar department at Arizona State University School of Music in Tempe. Currently sponsored by D'Addario Strings, JIJI’s performances have been featured on PBS and NPR.